Renewing a flourishing, renewable energy company. Creating a much richer experience for users. 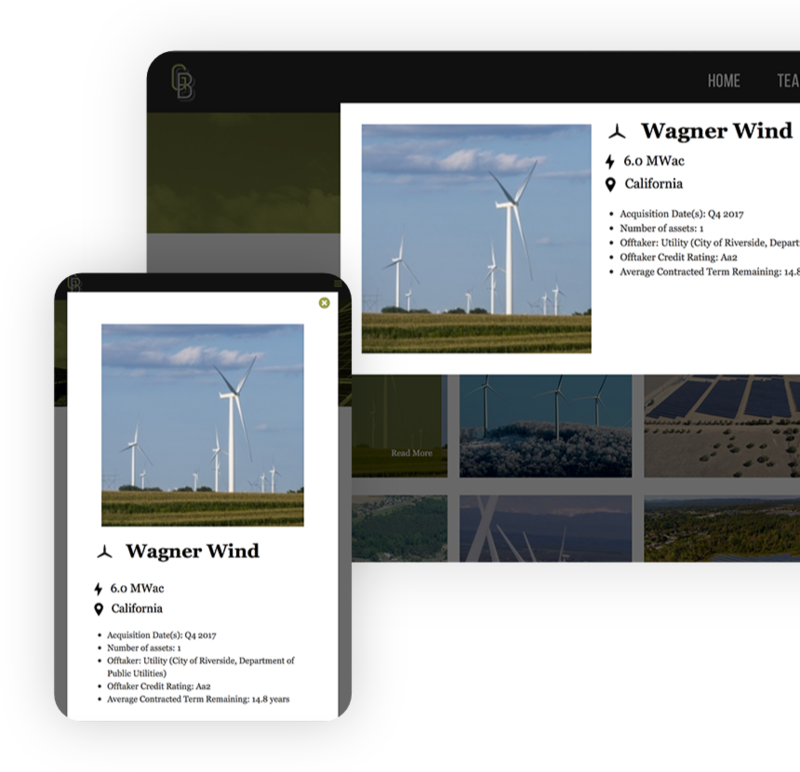 We designed Greenbacker to be fully responsive across devices with a layout and visual style to convert beta testers. 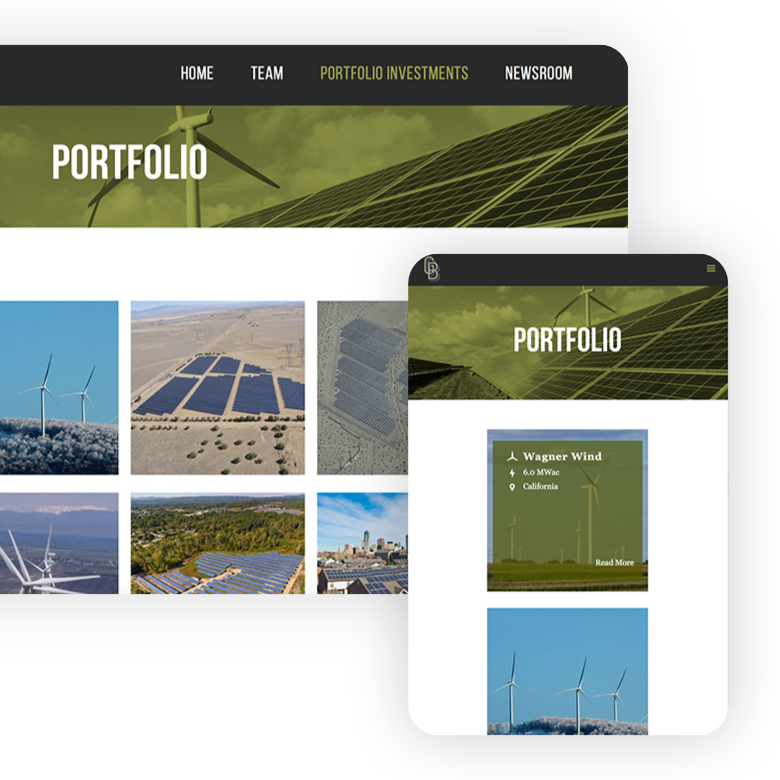 The Greenbacker portfolio can be quickly updated and looks good from any device. We're designing work meant to be functional, intuitive, and viewed from anywhere.